How to Install WordPress Through Softaculous? 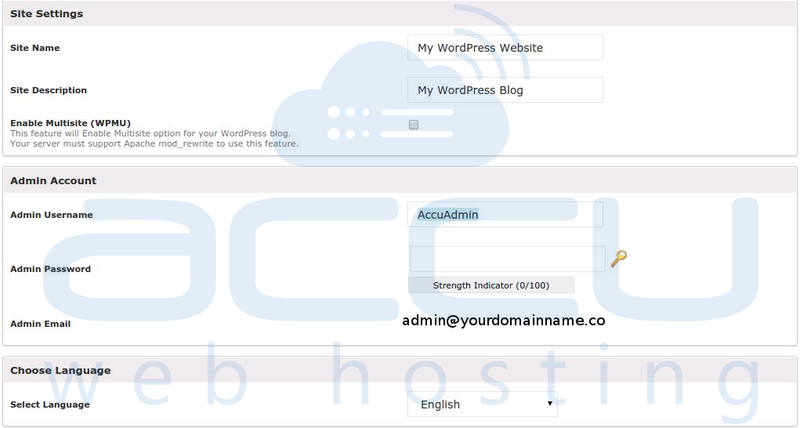 Once you get the Login details for your cPanel account, You can easily install the WordPress with a few steps. 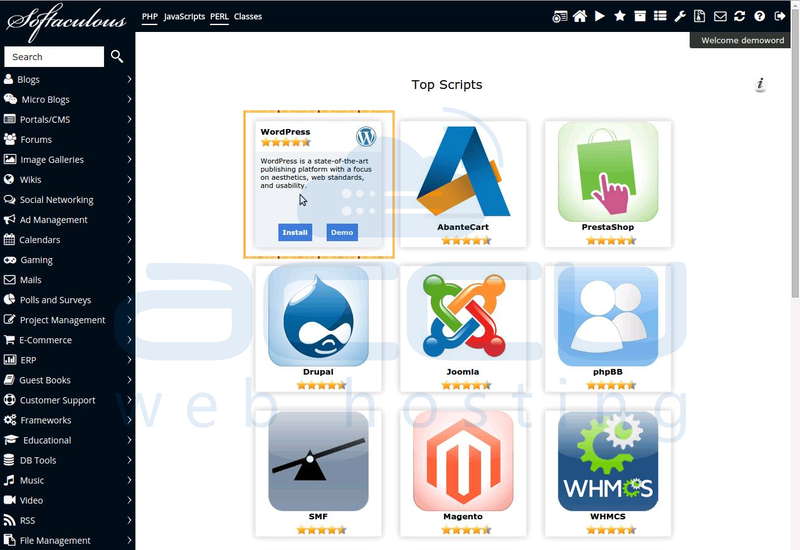 Select WordPress from the Top Scripts. You can also search WordPress and get the Install Button. You will have to fill up some information about your website. Choose Protocol: You can select an appropriate protocol for your Website from the DropDown list. Domain: Select your domain from the DropDown List. In Directory: If you want to install the WordPress in a sub-directory, please specify here. If you want to install the WordPress at http://YourDomainname.com/Blog, you should enter Blog. Database Name: Specify a DataBase name for your WordPress. The system will create it. Site Description: You can put a brief description of your website. Enable Multiple Site: Tick the box, if you have multiple site on a single WordPress. Admin Username: Admin Username should not be Admin or WPAdmin. Keep practise to use some odd Username. Select Language: Select your Language. Select Plugin: You can enable the following plugin for the security. Limit login Attempts : If you check this option, the Plugin “Limit Login Attempts”. There are some options available. You can also select the required option while installing the WordPress. You can also select any Theme as a default Theme for your WordPress Website. That's It!! Within 1-2 minutes the installation will be finished. How to Upgrade WordPress Core? How to Deactivate All Plugins Without Accessing WP-Admin? How to move/transfer WordPress website through FTP?